Dogs will make dog decisions. Without the proper leadership from their owners they will make decisions that, in a dog’s world, make perfect sense. They will decide to jump on the person coming in the door to size them up before allowing them to enter their home, follow their nose and dig through the garbage because something smells good, or beg at the dinner table because, hey, that’s where the food is. Our dogs, much like our children need guidance. If you never show a child how to properly behave at the dinner table, you cannot expect them to suddenly develop manners when you take them to a restaurant. Dogs do not understand what we are asking them to do, but we somehow expect them to. Our dogs are family, and as owners we have a responsibility to show them the way we would like them to behave, by becoming the leader. Dogs, no matter the breed, have a natural instinct to work for their families. Without proper leadership, these instincts are often translated into undesirable behaviors. To a dog, jumping on the person coming to the door is just another job of theirs. They are acting as their family’s greeter. As an alternative to frustration, why not take a step back and think “how interesting” the next time our dogs behave in a way that we find unsuitable. Perhaps our dogs are jumping on the person coming into the door because we never showed them the proper way to behave in this situation. 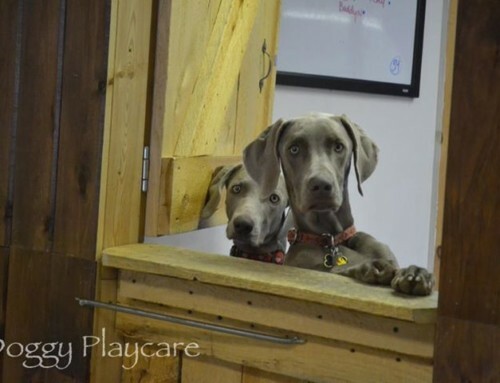 By becoming the leader and showing the dog what you would rather them do, whether it is wait in their crate, another room, or outside while guests arrive, you are giving the dog a new way to work for you and your family, and they are no longer the greeter. 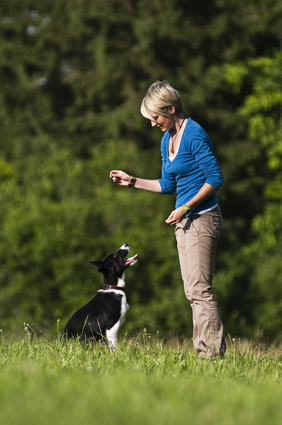 Leadership is crucial to a healthy functioning relationship between owner and dog. Establishing leadership does not mean dominance, but creating a common language between you and your dog. The more decisions our dogs are allowed to make, the stronger the leader they become. Take the decision making away from your dog, and embrace your role as the leader. 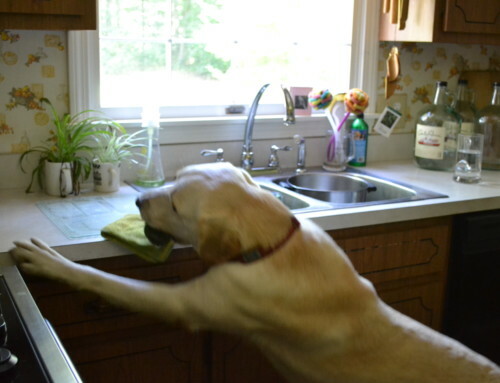 Redirect instead of correct behavior, use your dog’s innate instinct to work and let them work for you. We should try to understand how our actions reflect our dog’s behavior, and what we, as leaders can do differently to improve and enhance our relationships with our dogs. . If we expect our dogs to live seamlessly in our world then we are responsible for showing them how to do so.